Safety does not exist when Black and Brown young people are forced to interact with a system of policing that views them as a threat and not as students. For many Black and Brown youth, the presence of police in their schools disrupts their learning environments. There is a culture clash that exists between law enforcement and the learning environment: police enforce criminal laws, while schools are supposed to nurture students. This report addresses the stark reality that police in schools is an issue of American racial disparity that requires deep structural change. 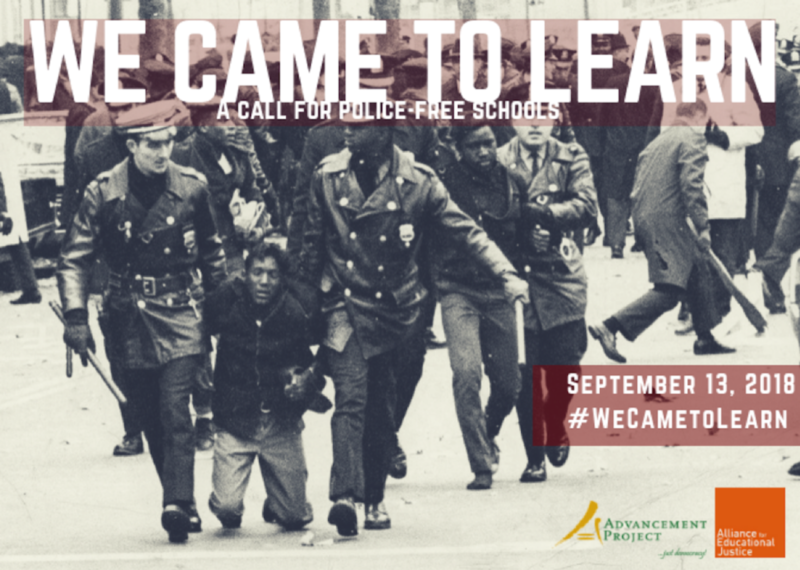 We will explore the question of why police are in schools at all and conclude that police are incongruent with the educational environment we envision for our children.